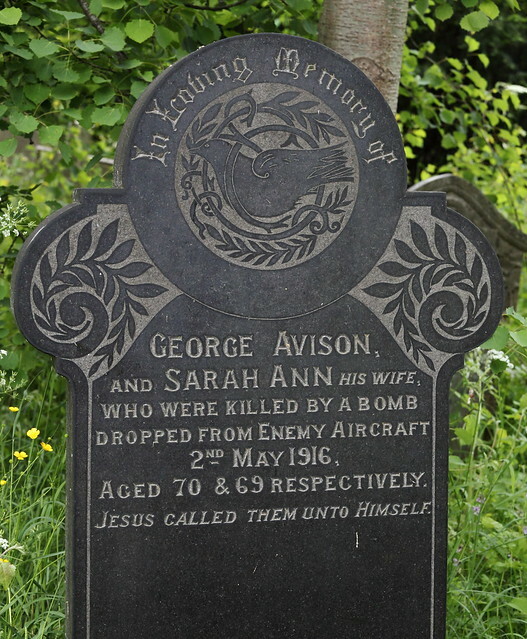 Avison, York Cemetery | Flickr - Photo Sharing! York couple killed by the Zeppelin raid on York 2nd May 1916. Apparently the raid was carried out by Zeppelin LZ16 (tactical sign L21) which was lost in November of the same year off Great Yarmouth following an attack by fighter aircraft. Euprax, SandyEm, Za /'tsa: /, and 1 other people added this photo to their favorites. Fantastic social history...very sad too. Thanks for adding to my group :) and the other ones!